I have been to Hong Kong many times and have quite a few relatives in Hong Kong. Recently, a friend of mine keeps bugging me for tips on Hong Kong trips, so decided to post this in my blog. Hong Kong is one of my favourite destinations, with its superb shopping and yummy food. It is a heaven for shoppers (but I can say more for women shoppers than men) and for all the nice Cantonese food. For anyone who’s planning to go to Hong Kong, I would recommend the period from October to December when the temperature is comfortable and there’s plenty of sunshine and breezes. For other seasons, it can get a bit cold in January and February and from March to September is the heat/rain season where the air becomes uncomfortably sticky and humid, and by September you can expect typhoons. But, if you are thinking of doing some serious shopping and crazy over its summer sale, then you would have to brave the heat and humid and go during the mid to end of summer (i.e. around July/August) when you will be able to find cheap bargains of clothes suitable for the tropical climate. It’s not possible to see everything that Hong Kong have to offer in one trip, and personally, I don’t recommend that you try. So, below are what I suggest are the things that are not to miss. 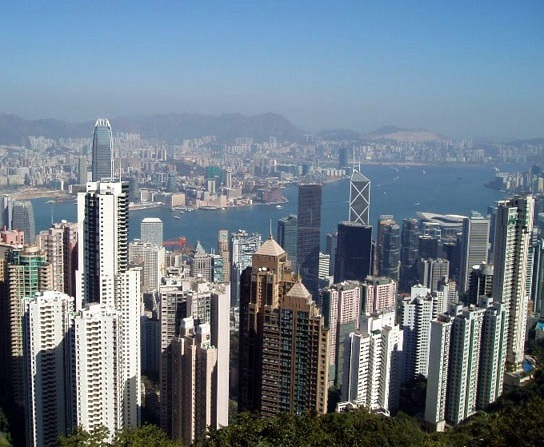 If you haven’t been to Victoria Peak (also known simply as the ‘Peak’), then you haven’t been to Hong Kong! All visitors to Hong Kong should go to the Peak for panoramic views of the city. Personally, I feel that the night view is the most spectacular and a must-see. Therefore, I would recommend going up at night as well as during the daytime, to experience the view at both the day and night time. To get to the peak, you can take a tram ride which is literally a vertical ride up to the peak. In the tram, one would be able to enjoy the panoramic view of the island as you ascend. Inside the Peak Tower you will find a few restaurants, shops where you can get some souvenirs as well as some attractions that include “Ripley’s Believe it or not” as well as “Madame Tussauds”. Stanley is a lovely little coastal village towards the south of Hong Kong. Originally a fishing village, it is now hosts a range of restaurants and pubs. Here, you can get a few good bargains ranging from traditional Chinese souvenirs to traditional arts and crafts, and various other types of stalls. After Stanley, head down to Repulse Bay to see a more quiet side of Hong Kong. Enjoy the lovely little beaches which prove quite popular in the hot summer months. There are also a lot of god statutes here which rich people donated and placed in the park. Head down to Avenue of Stars at Tsim Sha Tsui waterfront (this is the best place to view) from 8pm and 8.18pm and be treated to a spectacular multimedia display of lights and music involving 18 Key buildings of Hong Kong. This is a great place to view the imfamous central skyline so head down here after dinner for a romantic scroll. If you are the type that likes clubbing or just don’t want to end up sleeping in the hotel early at night, Lan Kwai Fong is the place to go. It used to be an “expat hangout” but now many locals also patronised the pubs. Centred around an L-shaped cobble-stoned lane just above the Central business area, Lan Kwai Fong houses the trendiest pubs and entertainment centres. Ocean Park is an amusement park with a roller coaster and other stomach-turning rides. It is also a marine park, with dolphin and killer whale shows, seals and sea lions, a shark aquarium and aviaries featuring the ‘Amazing Birds’ theatre. The park is divided into two sections. At the main entrance is on the lowland area, a amusement park suitable for young kids (this is where gardens and the Hong Kong Jockey Club Giant Panda Habitat, home to An An and Jia Jia is). For adults or older kids, take a cable car ride to the headland area where most of the attractions are found. The scenic cable car ride which is around 15 minutes ride (warning: I was pretty scared throughout the ride cos’ the cable car keeps shaking so if you have young kids, be sure to comfort them throughout the ride). The headland section affords beautiful views of the South China Sea. I suggest that you depart the park via the rear entrance (instead of the cable car), so that you can descend via a giant escalator which will bring you down to Tai Shue Wan and Shum Wan Road, where is the Middle Kingdom, a sort of Chinese cultural village with temples, pagodas and traditional street scenes. Whether you are a believer or not, head down to Wong Tai Sin Temple (a Taoist temple) in Kowloon (just take MTR to Wong Tai Sin station which is around half hour journey from Tsim Sha Tsui) to experience the Hong Kong culture. This Taoist temple is dedicated to the god Wong Tai Sin, who is a mythical shepherd boy with the power of healing and is famous for bringing good luck to gamblers. Behind the main building is the Good Wish Garden with Chinese pavilions, carp ponds and waterfalls. Inside this is the smaller Nine Dragon Wall Garden, which houses a copy of the famous mural in the Forbidden City in Beijing. Most of the locals, especially the elderly, would visit this temple to pray for good fortunes, good health or any other matters that are of great concern to them. There are many fortune tellers located in the temple compound and during the weekends, you can see many locals seeking their fortunes there. You might wish to try also (price starting from around S$20). If the hustle and bustle of Hong Kong gets to much for you, an escape to Lantau Island, might be just the thing for you. 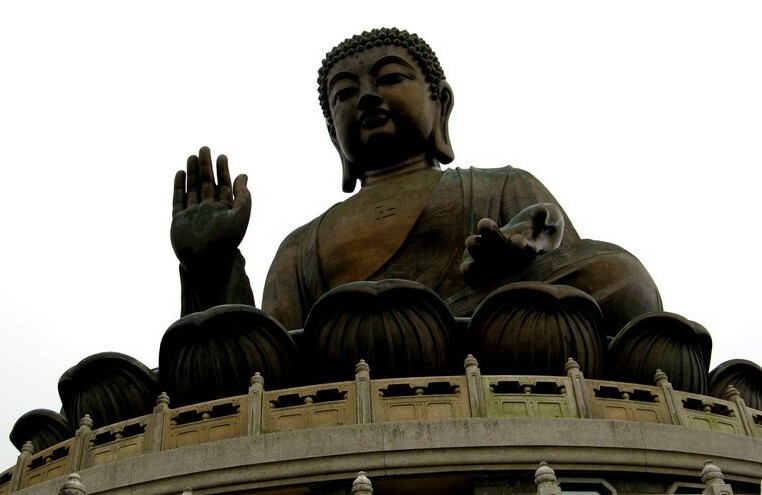 One of the most popular sights to see on the island is the Tian Tan Buddha. This is the world’s tallest outdoor seated bronze buddha. It sure lives up to its expectation, and is very very large indeed and well worth seeing. The statue is located very close to the Po Lin Monestary, and is known to symbolize the harmonious relationship between man, nature, people and religion. Its one of the most popular tourist attractions in Hong Kong, and I would advise it to any visitor to Hong Kong. A new amusement park to visit is DisneyLand where one begins a magical journey into a world of dreams. For those who have been to the other DisneyLands in US and Japan, the Hong Kong Disney is a place that you can skip if you want to. The park is not fully developed yet so it’s quite small actually. However, for those who’re interested to go, the Main Street USA where you step back in time in small-town America at the turn of the 20th century, Fantasyland, Adventureland and Tomorrowland are worth exploring. Tai O is located at the extreme end of the Lantau island – it’s actually a very small island of Lantau (but there’s a small bridge to link to the Lantau island). This is a fishing village and you can buy a lot preserved seafood (eg salt fish, shark’s skin, etc) here. There are also unique metal houses here which are worth seeing. A fifty minute ferry ride from Central, Cheung Chau is the most densely populated outlying islands in Hong Kong, On this island, no cars are allowed, so you would have to travel by foot. The island offers a glimpse of the traditional life of a fishing village, with its fishing boats and stalls and there are some excellent views as you go. Of course, Cheung Chau’s seafood one that you should not miss. – The tram experience: Only one of 3 tramways in the world that have regular operations of double-decker trams, one of which is the tram in Hong Kong. Not only are they a form of transport, they have also become a major tourist attraction, being very popular amongst visitors.The tram line is 13kg long mostly street running along the northern coast of Hong Kong Island from Kennedy Town town to Shau Kei Wan. It is a very inexpensive way to get around, with a journey costing only about HK$2 for a journey of up to 13km and a great way to experience tramride. – Travel between Hong Kong Island and Kowloon: You can cross the straits between the mainland and Hong Kong island by the following mode:- 1) By car through tunnel – not recommended cos’ traffic jam is common especially during peak hours. 2) By MTR – fast, convenient and economical. Would be able to bring you to various locations in Hong Kong island and Kowloon. However, during peak hours, the trains could be a bit pack 3) By Star Ferry – The trip takes around ten minute across Victoria Harbour, either to the Kowloon or Central side and you will be able to have a nice view of Hong Kong’s majestic skyline, which is an erratic skyscrapers, hotels and apartments. The night-time view is also fantastic. Highly recommended as a part of your sight-seeing schedule. – Food in Hong Kong is generally good so most of the time, you should get pretty delicious food. – The portion of the food is generally big so you may want to share with someone if you are a small eater. – For local Hong Kong food (eg Dim Sum or Cantonese food), Ho Choi Seafood Restaurant which has many branches are a good and rather affordable place to eat. There’s one at Mongkok (3/F Allied Plaze, 760 Nathan Road near Exit B of Prince Edward MTR station). – Wanton noodle is a must try in Hong Kong. Many stores serve pretty nice wanton noodle but if you want to try a famous one, go to Mak’s Noodles at 77 Wellington St. at Central. You can try both the wanton noodle and sui jiao dumplings, both tasting slightly different. The portion is small though so not to worry. – The Char Siew and roast goose are also famous in Hong Kong. Similar to the wanton noodle, most stores serve these pretty decently but I would rate Wah Fun Restaurant located at Shop B,C,D Ground Floor, 112-114 Wellington Street, Central the best (or as many claimed it to be the best). – For desserts, Hui Lau Shan, is a pretty popular stores (you can find it all over Hong Kong at Causeway Bay, Mongkok, Tsim Sha Tsui, Jordon, etc). It specialises in mango and its “top hit” is the mango and coconut ice cream with a side of mixed fruit. – Hong Kong milk pudding is also a popular dessert and Yee Shun Milk Company specialises in this. You can find the store in Causeway Bay (G/F, 506 Lockhard Road, Causeway Bay), Yaumatei (G/F, 513 Nathan Road) and Mongkok (G/F, 246-248 Sai Yeung Choi Street South). – Claypot rice is another one of my favourite “must-eat” whenever I am in Hong Kong. Kwan Kee (Shop 1, Wo Yick Mansion, 263 Queen’s Road West/Kwai Heung Street, Sai Wan) and New Tusi Wah Restaurant (12 Tang Lung St near Times Square) both serve nice claypot rice. – For some indulgence, head to The Peninsular Hotel for an afternoon tea. It is well worth the price. – In Hong Kong, one can really shop non-stop. The shops open till late into the night. Even at around mid-night, I can still shop and buy stuff. – For those looking for cheap bargains, hope down to Market Street (in Jordon) and Women Street (in Mongkok) via MTR. The setting there is similar to the “pasam malam” (i.e. night market) that you see in Singapore and the goods range from “cute cute stuff”, to bags to clothes to DVDs. However, be prepared to bargain here (but make sure that you are interested to buy before you bargain if not you might get scolded). – Nathan Road in Kowloon is also a good shopping area and is one of the most famous streets of Hong Kong (with its colourful neon lights). The street is in north-south direction starting at Tsim Sha Tsui, and going to Mongkok. The street is lined with many shops, and restaurants and is very popular with tourists as well as the locals. 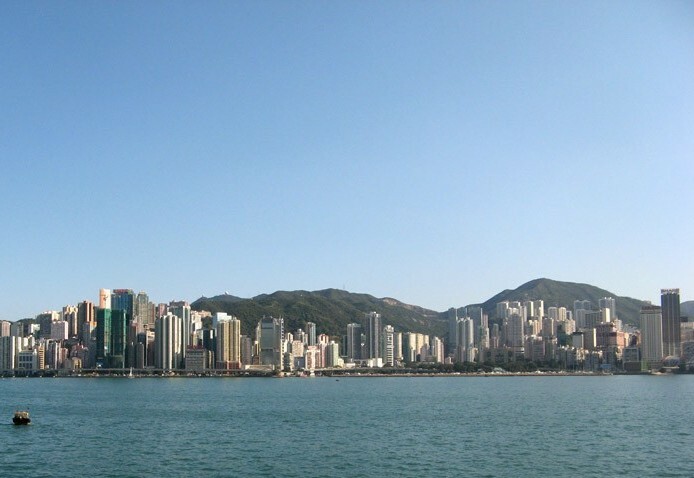 – In Hong Kong island, you can go to Times Square in Causeway Bay (and around there) for more high-end shopping. If you are looking for branded stuff, head down to Central where most of the branded shops are located there. Basically, you would be able to find shopping everywhere you go, so just explore any shops that you come across.